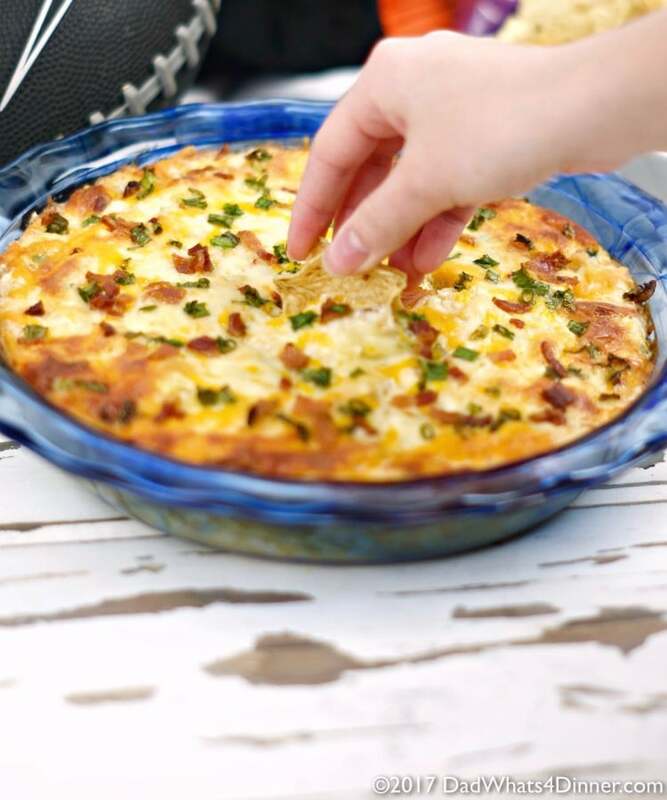 Bubbly Baked Tater Tot Popper Dip is a mash-up of two of my favorites, tater tots, and jalapeno popper dip. 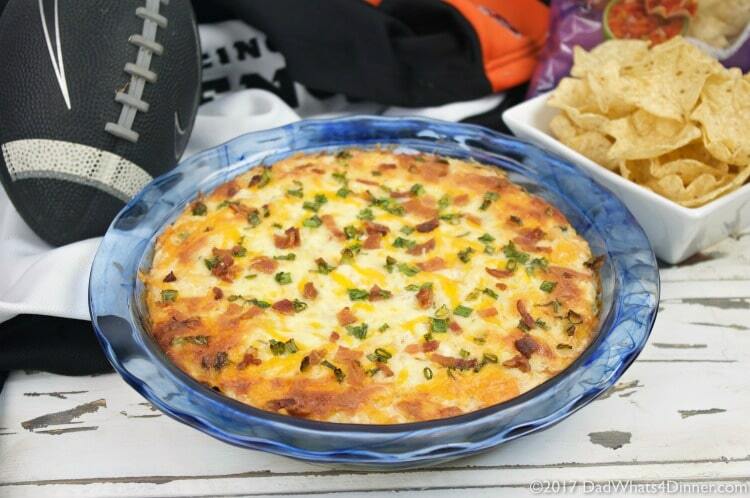 Perfect for tailgating or family game night. With the holidays over, it’s time to concentrate on the next major holiday. No, not Valentine’s Day, I mean The Big Football Game early in February. Don’t worry Family Dollar has everything you need for both. More families have big game parties than any other TV event all year. More TVs are sold during the weeks leading up to the game and the poor chickens don’t have a chance with all those chicken wings being consumed. In my family, we are huge fans of tailgating food. We love dips, sliders and cheese balls. 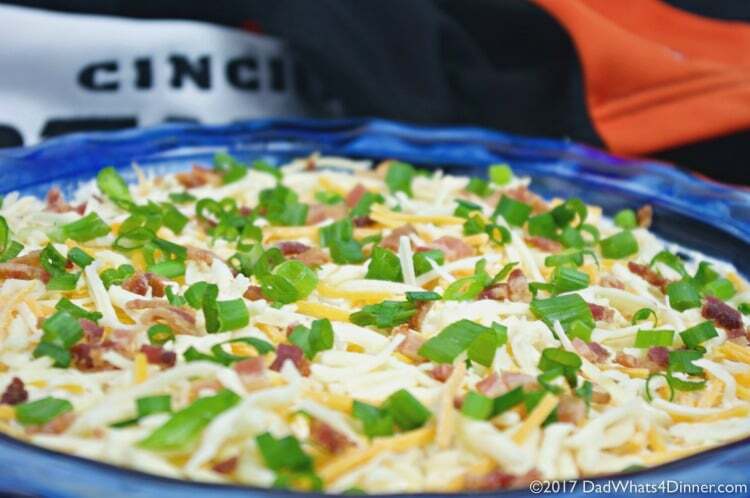 Ask anyone these days and most will tell you the food is the highlight of any game day party. 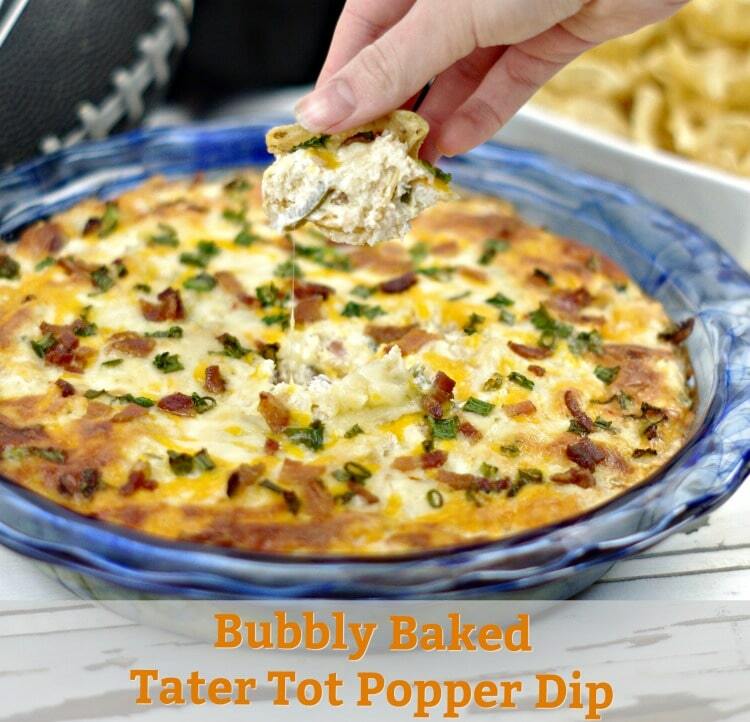 My Bubbly Baked Tater Tot Popper Dip is oozing with warm gooey cheesy potatoes with a nice little kick. Think of it as cheesy fries topped with jalapenos in a single hot bubbly dish. Serve with tortilla chips and enjoy some warm goodness. What are your Big Game plans? 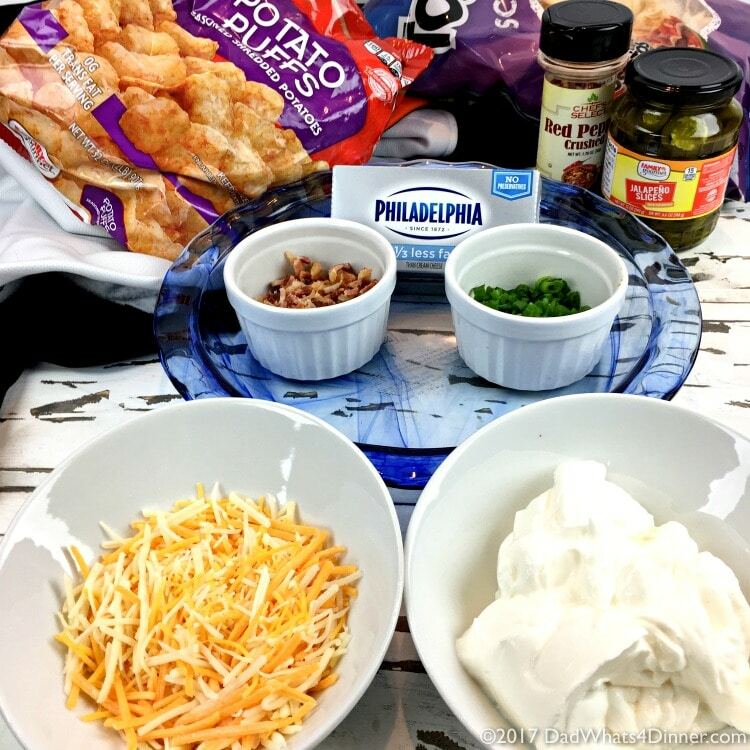 Did you know Family Dollar has everything you need to get ready for game day from the ingredients for my Bubbly Baked Tater Tot Popper Dip to plates, napkins and small appliances to make entertaining easy? In a large bowl, combine tater tots, cream cheese, sour cream. jalapenos, 1 cup cheese, 1/4 cup bacon, salt, and pepper. 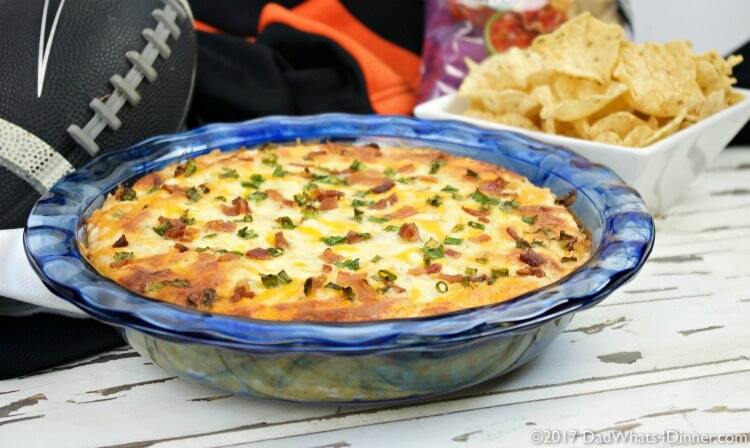 Spread dip into a 9-inch pie pan. 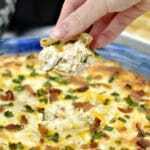 Top with remaining 1 cup of cheese, bacon, and green onions. Click here to find Everyday Low Prices at your local Family Dollar.